Book flights or any other tickets well in advance, especially if a wedding is taking place during peak season. From your end, what you can do is share your travel dates and tickets as soon as possible so that your travel is perfectly planned. When selecting which suitcases to take, ensure that you take bigger suitcases that fit your clothes, shoes, gifts and any other wedding essentials. You should also carry an extra bag that will hold wedding favours or any items you get while shopping during your trip. While the top wedding planners in India will do everything in their control to make your wedding experience comfortable, there are two crucial things that you should remember to pack to avoid any hassle. Remember to pack your medicines if you have an ongoing ailment and a kit of the essential precautionary meds. Though there will always be a doctor on call, luxury wedding planners highly recommend carrying your own medicines with you as the brands in international countries could differ and may not be what you are used to. Apart from medicines, electronic items like your phone charger (carry a spare one as well) and a (charged) power bank will ensure that your phone battery will never die out and will keep you safe and accessible at all times. Also even though most top planners will plan ahead for this, carrying a multi adapter for international destinations is always recommended. Let’s say you’re travelling for a destination wedding in Dubai. While the best weather Dubai experiences is between mid-November and early December, one should still carry sun hats, extra sunscreen and light clothing. The same goes for attending a destination wedding in Rajasthan where you’ll need similar accessories. Now if the wedding is happening in a destination with a cooler climate, a light jacket, sweater and dressy shawl have to be packed – maybe even proper winter wear, if it’s required. When you’re travelling to exotic locales for a destination wedding, do fit in some local sightseeing! Tamarind Global Weddings is a luxury wedding planner who ensures that wedding guests have a wonderful time sightseeing, shopping and more. There are many ways to explore a region – culture tours, adventure activities or simply soak in the location in a personalized way. Shopping is an incredibly fun activity when attending a destination wedding in Dubai or a destination wedding in Rajasthan – pick up local handicrafts, clothes and décor and spices! All this can be done by either extending your stay or fitting it in between the packed wedding agenda. We hope these tips helped! 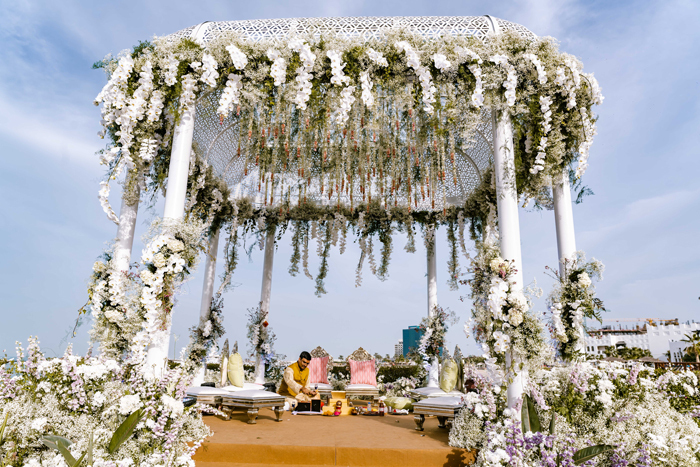 Don’t forget, when it comes to planning your own destination wedding, hire the top wedding planners in India to get the best hospitality and services. Tamarind Global Weddings can promise that this makes a huge difference in making your wedding experience truly satisfactory.